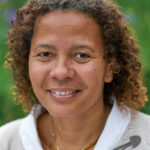 In this weekend workshop with Tergar Instructor Antonia Sumbundu, we will explore the causes of suffering and dissatisfaction through the practice of insight meditation. 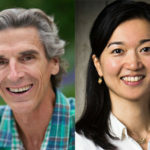 In this meditation workshop with Facilitators Scott Anderson and Kasumi Kato, we will learn how meditating on loving-kindness and compassion can open our hearts to the world around us and relax the self-centered tendencies that lead to anxiety, dissatisfaction, and suffering. In this one-day workshop, Yongey Mingyur Rinpoche will offer practical insight into impermanence, meditation, death, and transformation. 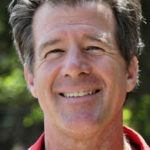 His teachings will be drawn from his new book, In Love with the World: A Monk’s Journey through the Bardos of Living and Dying. 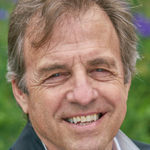 In this weekend meditation workshop with Tergar Facilitator George Hughes, we will learn how meditating on loving-kindness and compassion can open our hearts to the world around us. In this public talk, Tibetan meditation master Yongey Mingyur Rinpoche will show us how the practice of meditation can put us in touch with a source of true happiness, even when we find ourselves in challenging circumstances. The six paramitas are generosity, ethical conduct, patience, joyful effort, meditation and wisdom. These qualities are the natural expression of the awakened mind. In exploring the paramitas with Tergar Instructor Antonia Sumbundu, we will learn how they support us in the here and now and enrich how we live our lives. 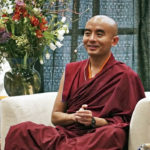 Mingyur Rinpoche’s teaching schedule in Phoenix, Arizona, USA. In this one-day workshop, Yongey Mingyur Rinpoche will offer practical insight into impermanence, meditation, death, and transformation. During this weekend workshop with Tergar instructor Antonia Sumbundu, we will inquire as to how the often-elusive qualities of the feminine can be brought to the forefront of our experience. We’ll learn to work with belief systems that can inhibit these qualities and explore Tibetan Buddhist teachings that nurture the authentic expression of our feminine attributes. A one-day workshop in which Mingyur Rinpoche will offer practical insight into impermanence, meditation, death, and transformation. Join us for a special evening with author Yongey Mingyur Rinpoche discussing his latest book, In Love with the World: A Monk’s Journey Through the Bardos of Living and Dying. This retreat offers an opportunity to practice the Joy of Living teachings under Yongey Mingyur Rinpoche’s direct guidance. In this six-week ONLINE course, we will learn how to transform all experiences, even difficult thoughts and emotions, into sources of joy. 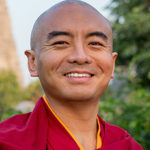 The course features video teachings by Mingyur Rinpoche. 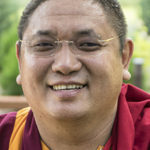 This Path of Liberation 1 and 2 retreat presents a special opportunity to receive in-depth teachings from Yongey Mingyur Rinpoche on the nature of mind, drawn from the path of Mahamudra, the most profound meditative teachings of the Kagyü School of Tibetan Buddhism. 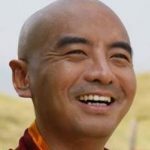 This Path of Liberation 3 and 4 retreat presents a special opportunity to receive in-depth teachings from Yongey Mingyur Rinpoche on the nature of mind, drawn from the path of Mahamudra, the most profound meditative teachings of the Kagyü School of Tibetan Buddhism. 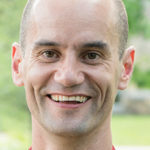 In this weekend meditation workshop with Tergar Facilitator Frédéric Auquier, we will learn how meditating on loving-kindness and compassion can open our hearts to the world around us. In this Path of Liberation Level 5 retreat, Mingyur Rinpoche will teach an important development stage practice based on White Tara, who represents the feminine qualities of the awakened heart. Join us for a special evening with Yongey Mingyur Rinpoche. Rinpoche will be discussing his latest book In Love with the World: A Monk’s Journey Through the Bardos of Living and Dying. 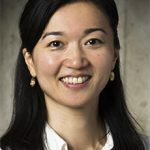 In this weekend workshop with Tergar Facilitator Kasumi Kato, we will learn how cultivating awareness can help create a peaceful mind and joyful heart. 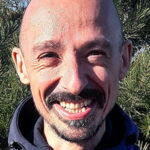 In this daylong workshop with Mingyur Rinpoche, we will explore the bardos. They mark the stages from death to rebirth, but they can also be understood as an inner journey of the mind, marking the “in-between” periods in our own process of becoming more fully who we truly are.